It is an interesting question. Even though most of the gurus pitch that you can make money in real estate with no money of your own, I find it a challenging proposal. It is possible, but it also means a lot of hard work, time and some luck. With that said, he is what I would do with $100 to get started in real estate investing. 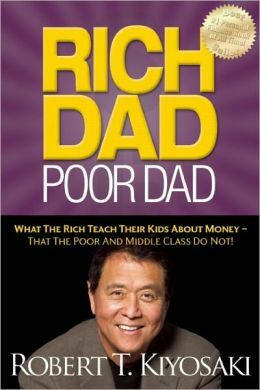 Rich Dad Poor Dad is the granddaddy of all real estate books. If you talk to 100 investors, I would be willing to bet that at least 90% of them have read it. Although it does not offer you the details of how to invest in real estate, it provides you the right mindset, which is the most important part. With the right mindset, learning how to “do a deal” is a much easier proposition. One you have the mindset from reading Rich Dad Poor Dad, practice putting it to use and learn some of the basics of a financial statement in a safe environment. 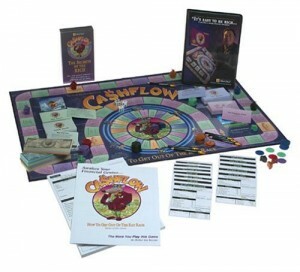 Cashflow 101 is an excellent game for teaching the basic strategy of investing. Granted, the implementation must be taken with a grain of salt, but the overall concept of the game is solid. For example, you will most likely not buy a stock today for $1 and tomorrow sell it for $40 as you do in the game. With that said, the concept of investing in something like stocks to gain a return that can then be invested in real estate is a potential strategy. I have modeled my personal investment strategy on based on what I have learned from playing the game. I started by investing in stocks (“The Market” cards in the game). Once I had enough money saved away and returned from selling the stocks, I purchased a duplex (“Small Deals” within the game). I continued to purchase duplexes with positive cashflow (5 total). I then mixed a rehab/retail single family home in with the profits from the duplexes. I most recently purchased a 4-plex, mixed use building (still a “Small Deal” in the game, but moving up). Additionally, I opened a wine/liquor store business and put it in that 4-plex. My goal over my next couple of deals will be to continue doing larger transactions and get into the “Big Deal” cards. In a previous blog, I explained 8 reasons why BiggerPockets is a great resource for real estate investors of all skill levels. You can learn so much by reading all the free blogs, listening to the podcasts, reading the thousands upon thousands of forum posts, communicating directly with other investors and trying out the financial calculators. Business cards are essential. As you can see from one of my earlier cards above, it does not have to be anything fancy. 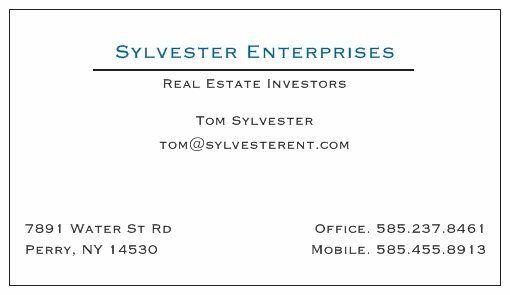 I listed my company name, that I am a real estate investor and my basic contact information. Websites like Vistaprint traditionally offer 250 or 500 free business cards (they will just have a small advertisement on the back saying “Business Cards are FREE at www.vistaprint.com!”). Having business cards will not only make you seem more legitimate, it will also ensure that anyone you speak with can contact you. 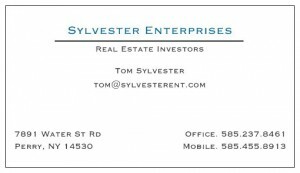 Once you have business cards, be sure to give a few to everyone you meet and let them know that you want to either network with other real estate investors or want to invest in real estate. As you have more cards floating around, you may get a call out of the blue from someone who has your card. Although the cost may differ by region, you will most likely pay a non-members fee to attend a meeting. I would recommend contacting the person who runs the REIA, explain to them that you are a new real estate investor and see if you can attend your first meeting for free to see if you want to join. 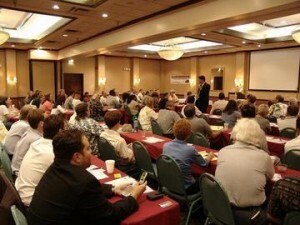 REIAs are typically a once a month meeting of local real estate investors. They generally run from 1-3 hours and include networking time, some real estate related presentations, deal exchanges and potentially other related content. From attending your first meeting, you should be able to get a feel for what the meeting consists of, some new ideas for your real estate investing business (yes it is a business, not a hobby) and meet some local investors. Be sure you give them your business card and try to collect theirs in exchange. After spending a few hours (or days or weeks) on BiggerPockets and attending a local REIA meeting, you should hopefully have made a few connections to other real estate investors. Schedule to meet 5 of them out and buy them coffee. Ask them questions, learn about their background and how they got started in real estate investing. See what they are doing now. Show a genuine interest in them and see what they recommend for you as you get started in real estate. In my experience, most real estate investors are willing to help out new investors, because we were all new investors at one point. Buying people coffee/lunch has created some fantastic connections/opportunities for me in the past. Without goals, who cares where you end up? Some people may argue that this should be done first, but I like to see people spend a little time getting familiar with the “real estate investing landscape” first. By now, you should have a general idea of what real estate investing consists of, between reading Rich Dad Poor Dad, playing Cashflow 101, consuming all the free content on BiggerPockets and networking with investors. At this point, I recommend defining your goals. 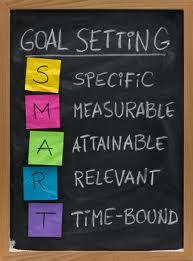 I like to define 10 year goals, then work backwards to 5 year, 3 year, 1 year, 6 months, 3 months and 1 month goals. By working backwards, you define what you need to do to meet your long-term goals and you create a road map for yourself to follow. Additionally, this is a great time to find your “why”. This is critical! Your why is the driving, burning reason for investing in real estate. Your why will be what gets you through the hard times and keeps you focused. My Why: I want accountability for my success. I do not want to leave that in the hands of an employer. I want to be able to spend time with my family and be involved in my daughter’s life as she grows up. Most people gravitate towards real estate investing because they were “sold the dream” by a guru. After going through the first 7 actions, it should be apparent that one can be successful in real estate investing, but it does require some hard work. There are a few additional books that I believe help provide the right mindset (which is needed at this point). 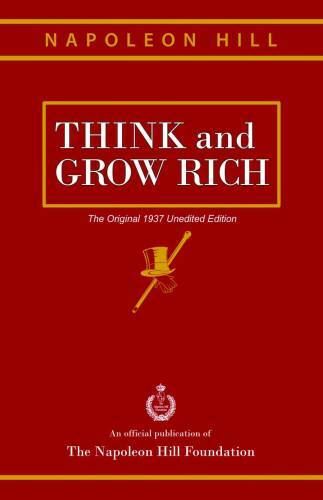 Think and Grow Rich ($15) – This is a classic book that will help you understand that you have control over your thoughts and actions. 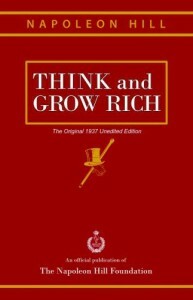 It will help you realize what you as an individual need to do in order to have success in life and achieve your goals. A classic! Everyone should read it. The Power of Starting Something Stupid ($20) – You will encounter naysayers as you begin investing in real estate. Many people will tell you that it is risky, stupid, won’t work, etc. These people will also be the people who are to afraid to try it or have failed (meaning they lacked a strong enough why to achieve their goals). It is important to be realistic, but do not let others hold you back from your dreams. 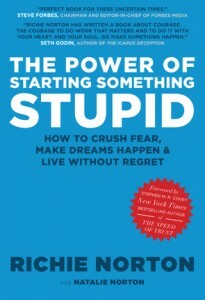 This book will help you understand why you should do something “stupid”. Real Estate Investing is “Stupid”. Do it anyways. So there you have it. If I only had $100 to get started with real estate investing, that is how I would spend it. I would most likely not have a deal yet, but I would have established the foundation for the future success. I would have the proper mindset from reading a few books, a list of my goals and my “why”, some practice and introduction to finance from simulating investing with Cashflow 101 and a wealth of actual real estate knowledge from BiggerPockets and investors. This is where success comes from.